This month I started my first year of University, I ran out of time to read books (sob) and I savoured sleep more than usual. It's been a month full of some exciting and new experiences for the most part and trying to find my feet. I've spent loads of time in the city and I've began to realise that there's more to life than high school. You know, that I can actually live my life now - there are so many things to do and work doesn't have to consume you if you don't let it. It's been a month of long bus journeys, being around strangers and having outfit struggles (is it summer or is it autumn?). I'm excited for Autumn and Winter fashion which I saw plenty of at the new Queen Street Topshop store, though I'm yet to buy anything. Next month I will have to fix that, and where better place to shop for new clothes than America? (Spoiler: I'm off to Hawaii next month, I can't believe it. I'm so excited). I'm also hoping to be able to read LOADS while I'm away and get a few books under my belt for my reading challenge this year. It's not like I try out new beauty things all that often because I have a student budget (hello?) and I don't really need to have a thousand products. These four beauty faves for the month of March are nothing that new, but favourites nonetheless (bar the Rimmel Exaggerate Liquid Eyeliner which you may have spied in my asos haul). I don't actually wear foundation on a daily basis; I find it a bit too thick and if I don't have the time I'm not going to do it. However I have been wearing this foundation a fair bit and I absolutely love it. It's not a really high coverage, I'd say it's light to medium depending on how much you put on. The thing I love most about this though is the colour because it doesn't make me look orange. I have the shade Light Porcelain, and it's going to be a great foundation going into winter too. I'd recommend this if you've been struggling with a good all round foundation and you also have really pale skin. 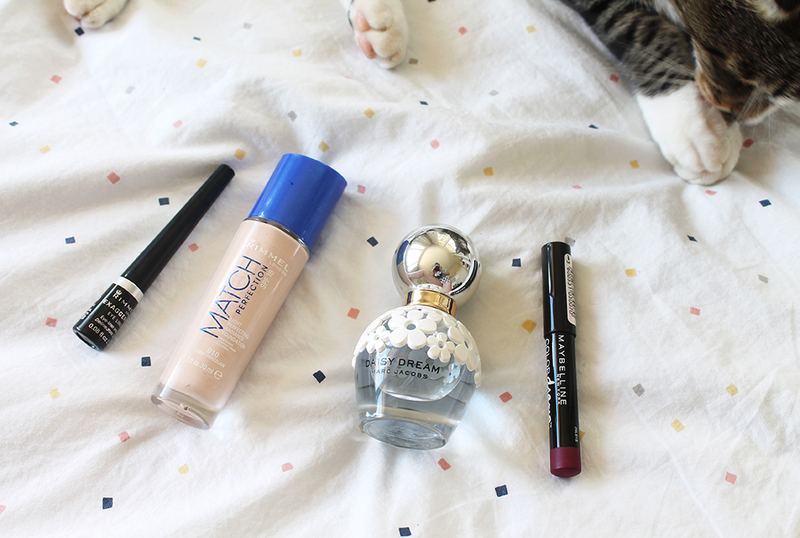 Other favourites include my Daisy Dream Perfume which brightens up any day (and I love the bottle) as well as the Maybelline Colour Drama Lip Pencil in Very Berry. 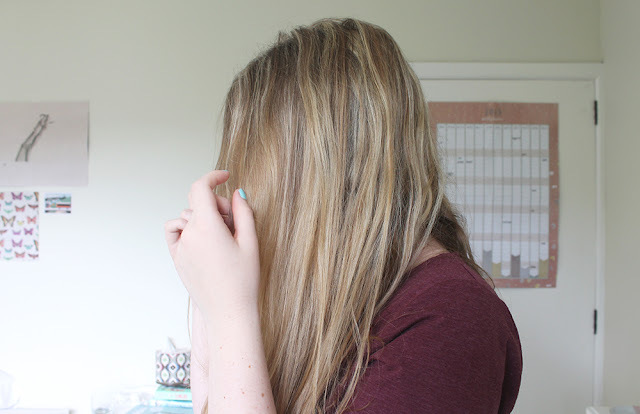 I mentioned this last month but I friggen love this and I might have to get another colour. I haven't had the Rimmel eyeliner all that long to really give it a full review but after my Elf eyeliner just wasn't cutting it anymore, I wanted a new one. Liv talked about this in her most recent video and so far it's a really good all round liquid eyeliner: black, lasting and easy to use as far as liquid eyeliner goes. 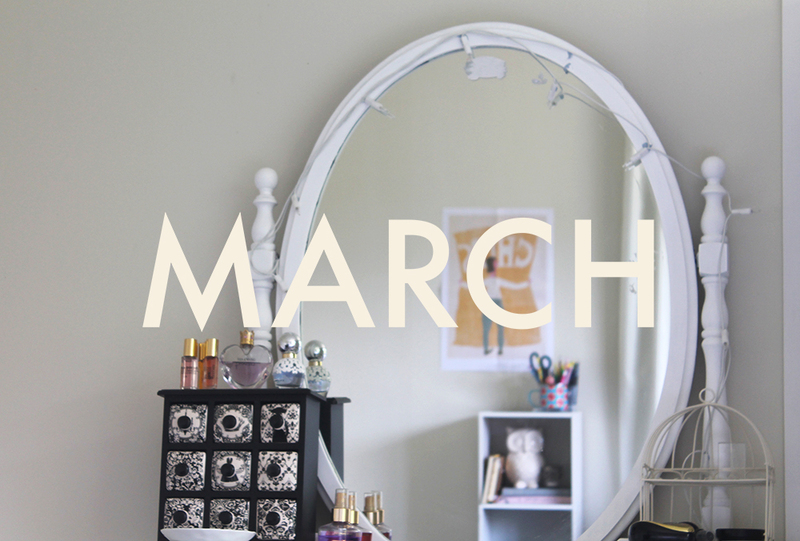 Moving on to something a little more exciting if you're not into beauty... other things I've loved this month. This month I only have a few 'entertainment faves' as I didn't have much time to delve into anything different (my YouTube subscription box was still well abused as usual though). 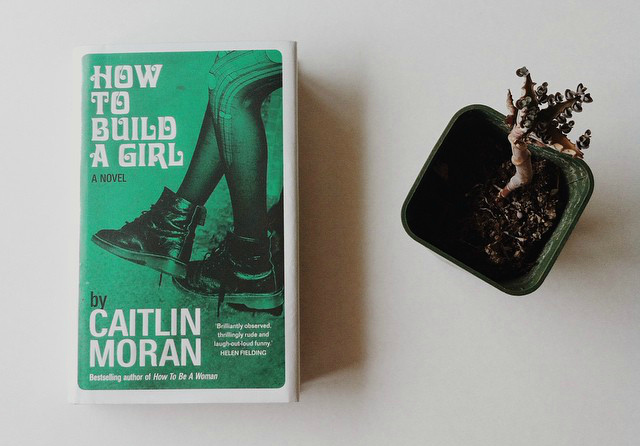 I only read two books this month and one of them was How To Build a Girl by Caitlin Moran. I did start reading another book before this but I couldn't get into it. I knew this one was going to be a goody though as I'd heard so many people talk about it. It did not fail to disappoint. I loved Johanna/Dolly as a character and it was a really funny book. 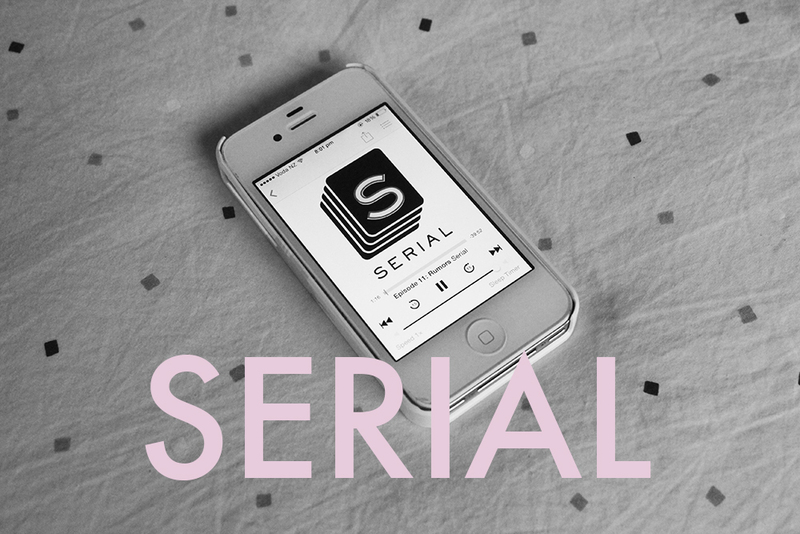 If you're a fan of YA fiction, I'd definitely recommend! 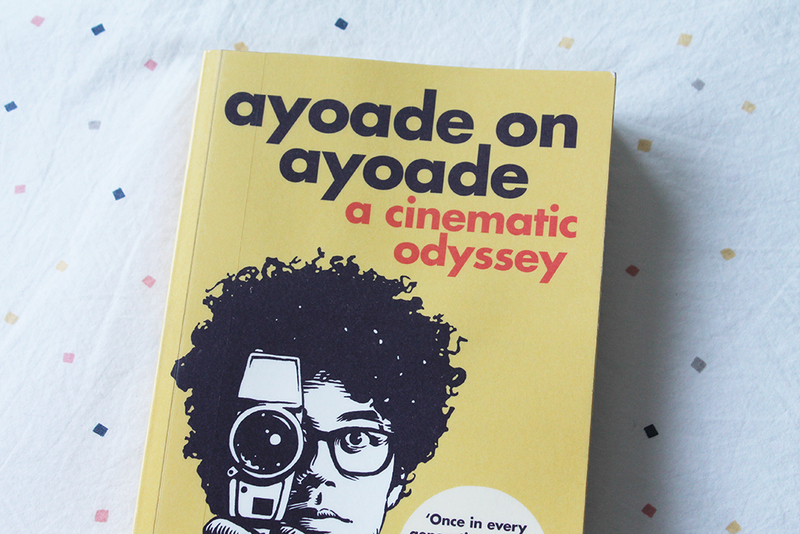 The other was Ayoade on Ayoade by Richard Ayoade. I'll go out here on a limb here and say he's my favourite comedian. If that's a thing you're supposed to have. I really enjoyed reading parts of this but I'm not going to lie, some bits were a bit tedious. He even makes fun of this in the book. I love his sense of humour - it's so self decrepitating. The format of it is so ridiculous and funny and strange (he is interviewing himself). I recommend reading this if you know who this man is/you've watched his movies/seen something he's been a part of e.g. the show 'Was It Something I Said?'. Obviously, if you don't know who he is, you're probably not going to 'get' it - I'll admit I felt like I didn't 'get' everything (probably loads of jokes I missed) but overall I felt like it was worth it because I love him so much. I'm like on this director fan girl level with him. Overall it's creative and interesting if you like/know him. Another firm favourite was the Serial podcast that everyone had been banging on about recently, or not recently... because I'm a little late on this one. But I loved this so much. I loved the difference of just listening to something instead of moving your eyes across a page for a change. I love mystery and crime related things a whole lot so this was really interesting and gripping. I just wish there was another season now so I could jump into that next. There is another season on the cards due to be released sometime this year so I'm looking forward to that for sure. As for music it's been a hell of a good month. Music was something I had time for; listening to it on the many bus trips I have had, when I get home to relax, between classes, etc. I've discovered a few new beauties when it comes to artists and gone back to some old faithfuls (i.e. The Kooks thanks to Britney's video). I also found a cool band Bonjah from that video and a friend recommend the Capital Cities Album 'In A Tidal Wave of Mystery' so I've been enjoying that one as well. Muse also released their new song which I like a lot, and you can guarantee their new album will be on a future monthly playlist. I happen to really love this particular playlist so I hope you enjoy too if you decide to listen. Links + Loves: Zoe's vlogs this month, PJs vlogs/short videos/second channel, Making the most out of Camera Raw on ALO, 30 days of yoga (which I'm yet to start -oops), this amazing little video: Light Tunnels by Sophie Newton.